There have been rumors about DJI releasing an Enterprise version of their Mavic for a while now and it seems to be an almost certainty that the Mavic 2 Enterprise will be released in the next few days at the AirWorks conference in Dallas, Texas. The slogan for the event is, For the Frontiers. We have seen the Mavic 2 Enterprise in a handful of leaked photos already. It looks to be a Mavic 2 with the ability to carry additional accessories for various purposes. AirWorks has a focus on professional applications of drones, so the Mavic Enterprise isn’t a consumer-level drone. The Mavic Enterprise series should make an appearance August 23rd. We expect the Mavic 2 Enterprise to have a variety of different payloads ranging from thermal cameras, to speakers, to strobe lights. DJI is building the Mavic 2 to be used for law enforcement, firefighters, surveyors, and agriculturalists. This isn’t a typical Mavic, and it won’t come cheap either. What Is the BEST Drone? So what is the absolute best drone out there? That question isn’t as easy to answer as you’d think. BUT…for most people the answer is the DJI Mavic Air. It is portable, has an awesome camera and excellent flight modes. Learn more about the Mavic Air HERE. Both the DJI Mavic Air and its controller can fold up for portability. What Is Our FAVORITE Drone? The Mavic Air is great but the drone that has us excited to go fly the most right now is the Parrot Anafi. The camera and gimbal setup on this drone allow it to do things that no other drone can. Plus, having the ability to zoom in on what you are filming is priceless. Learn more about the Parrot Anafi HERE. Choosing a favorite drone is hard, but the Parrot Anafi is just so unique. 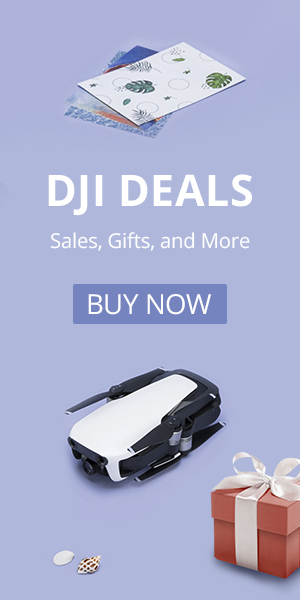 What Drone Is the Best VALUE? The DJI Spark is an awesome drone and at $399 is half the price of the Mavic Air. 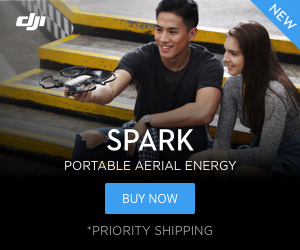 The best value on the market today has to be the DJI Spark. Now under $400, this little dynamo can do things that once upon a time cost over $1000. Learn more about the DJI Spark HERE. Still too much money for you? There are still some great options. Check out our list of the best drones under $200. If you want to learn more about taking great pictures or flying FPV then check out our comprehensive guides on those topics. Also, take a look at our articles on how to choose the right drone for great aerial photos or for getting started flying race drones. Learn more about drones and how to get the most out of them in our Drone Academy. In the Academy, we also detail some of the advanced testing we do including drone thrust testing and camera quality testing.